Qatar has historically held a positive outlook and recognition of intellectual property (IP) rights. Recently Qatar has been investing resources in promoting the development of a knowledge economy. To this end Qatar is taking significant steps towards encouraging domestic industries as well as foreign investment. Such steps notably include Qatar’s reinforcement of its IP protection regime through the provision of a stronger legal basis for protection and enforcement, in addition to improving and organising IP administrative filing systems. In this article we examine several recent IP related developments in Qatar which reflect the approach taken by the Government to achieve these goals. With effect from 23 September 2017 Qatar became a member of the Rome Convention on the Protection of Performers, Producers of Phonograms and Broadcasting Organizations (1961). Qatar is also a member of the Patent Cooperation Treaty, WIPO Copyright Treaty, WIPO Performances and Phonograms Treaty, Berne Convention for the Protection of Literary and Artistic Works, and Paris Convention for the Protection of Industrial Property. Qatar’s accession to the Rome Convention completes and bolsters its membership in essential WIPO conventions that in turn ushers in an era of better IP protection across the country. The implementation of the Rome Convention in Qatar will certainly provide a stronger basis for copyright protection in the media and entertainment industry. It will be interesting to see what, if any, amendments the Qatari Parliament may introduce to Qatar’s copyright, neighbouring rights and related media laws pursuant to Qatar’s accession to the Rome Convention. On 11 November 2017, the Ministry of Economy and Commerce announced launching the online trademark registration service through the Ministry’s website. This was the first step of a gradual implementation of the online IP system as the online system currently applies only to filing of trademark applications. The further steps of the trademark registration process, such as requesting publication and registration of a trademark, must still be completed by submitting printed forms. Another positive step was recently taken by the Ministry on February 2017, by publishing the most recent Trademarks Official Gazette no. 246, dated 7 December 2017 on the Ministry’s website, allowing wider audience to review the published applications, and file oppositions if needed. The Ministry’s aim is to ultimately provide a fully online IP registration services. The Ministry’s launch of the online service is a welcomed initiative that aligns Qatar with the modern standards, procedures and international best practices of trademark prosecution. It is hoped that the online system will streamline the registration process reducing examination and publication times and provide a more reliable and cost effective basis for IP protection. The Qatari Minister of Economy and Commerce issued Resolution No. 433 of 2017, amending some provisions of Resolution No. 410 of 2014 determining the Official Fees of Intellectual Property services, namely Copyright and Related Rights. The new Resolution came into force on 10 January 2018. The new Ministerial Resolution replaced the table of fees related to Copyright and Related Rights annexed to the previous Ministerial Resolution No. 410 of 2014, adding filing fees of QAR 300 for Companies and Individual entities, QAR 200 for Educational and Research institutions, and QAR 100 for Individuals, noting that students are exempted from paying such fees. The Resolution also added “To Whom It May Concern” certificate fees of QAR 100 and certificate of Custom Release fees of QAR 300, maintaining registration fees unchanged. It is noted that the added fees are minimal, and gave special consideration to students and educational institutions so as not to hamper but on the contrary encourage creativity and innovation in academic settings. 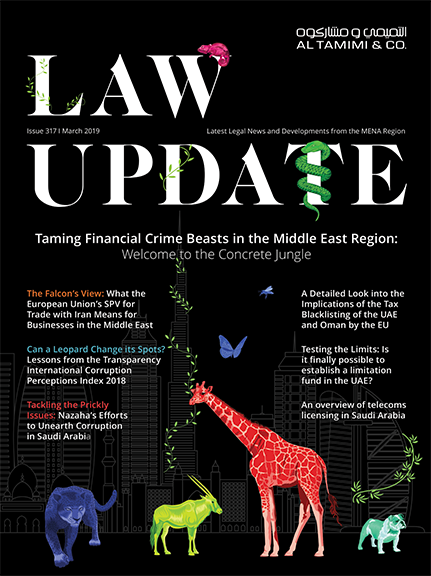 Another law closely related to IP enforcement will be witnessing a revamp soon in Qatar. The Qatari Parliament recently approved a new amendment of the Customer Protection Law No. 8 of 2008 and referred it to the Government for implementation. Currently, the Qatari Customer Protection Department plays a significant role in detecting and seizing fake products, in addition to protecting customer rights. The Department carries out such actions pursuant to the authorities granted to it in accordance with the rules of the Customer Protection Law No. 8 of 2008 as amended by law No. 13 of 2011, replacing Commercial Fraud Law No. 2 of 1999. The new amendment, as approved by the Parliament, is expected to impose stricter punishments, noting that current punishments include imprisonment not exceeding two years, and/or fines between three thousand and one million Qatari Riyal. Acknowledging the importance of Intellectual Property Protection is an essential part of economic development. Qatar is improving its legal system, protecting domestic industries and investments, customers, and foreign investments. The latest developments reported in this article are good indicators of the Qatari authorities’ efforts to maintain and grow a positive environment and setting which welcome and promotes intellectual creativity and human capital in all types of industries and sectors of the economy. How Can Al Tamimi help? Our IP department has a dedicated team of experienced practitioners, who can assist in a wide range of contentious and non-contentious matters related to IP, including legal protection, contractual matters and litigation. For more information about our IP services or if you wish to enquire more about the above reported developments, please contact the author or Omar Obeidat (Partner & Head of Intellectual Property) at o.obeidat@tamimi.com.